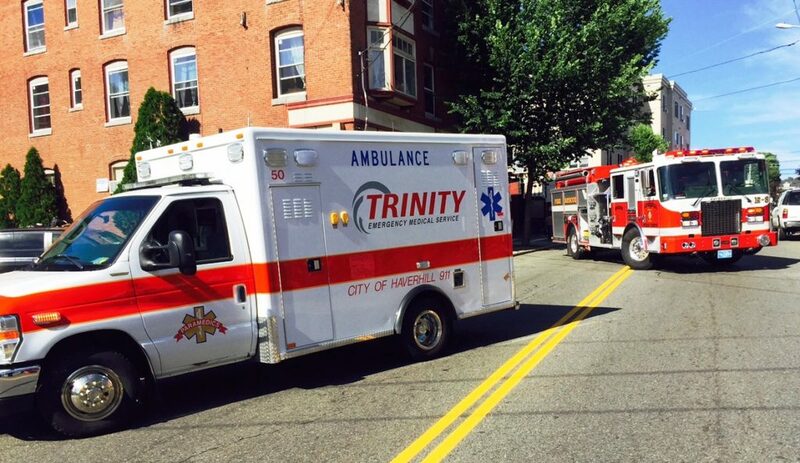 Trinity EMS once again participated in the annual Greater Haverhill Chamber of Commerce Health Fair Expo. A group of Trinity employees, including owner John Chemaly, staffed up the grilling station and served more than 270 hot dogs and almost 500 hamburgers and cheeseburgers to the sizable crowd that came to participate. There were numerous vendors under the “big tent” including, massage healing, face painting, chiropractic and bank services just to name a few – also spinning tunes was Trinity’s own Jim Powers! This was a wonderful event and Trinity was proud to be a premiere sponsor.